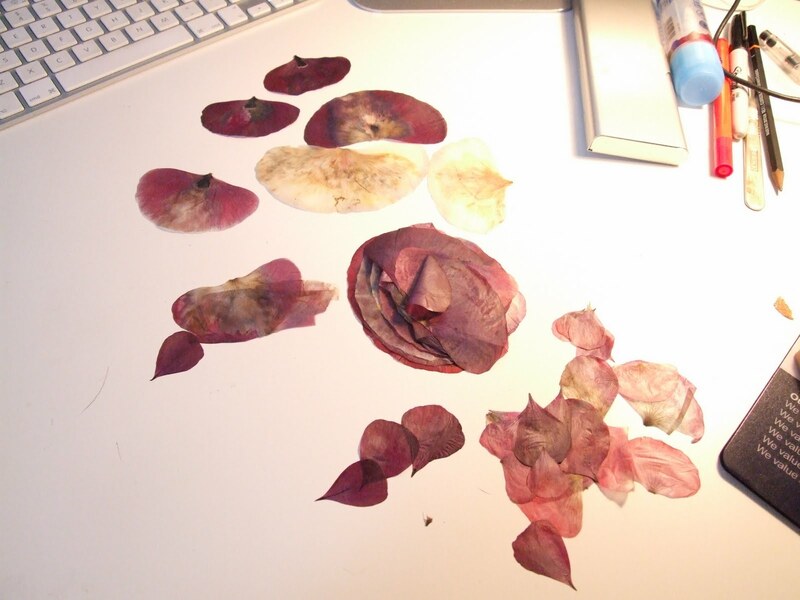 Most of my notebooks have poppy petals in them. 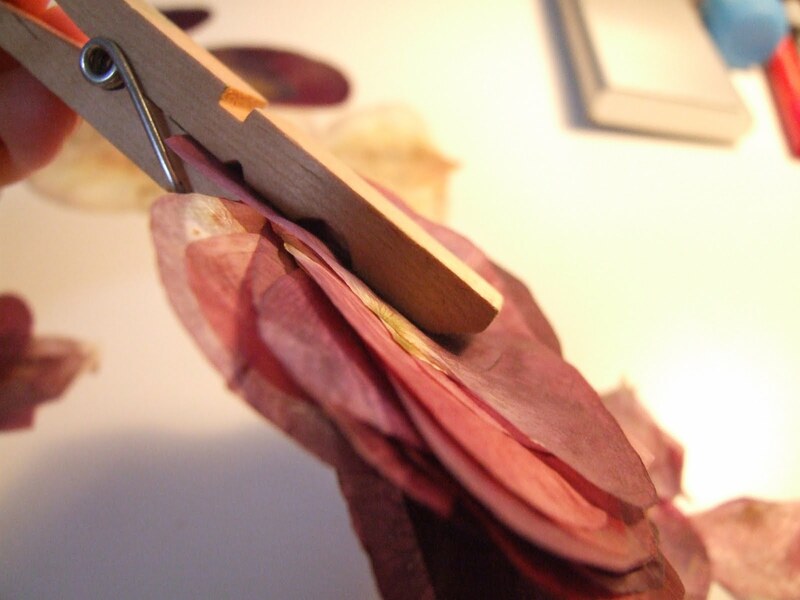 I press them, wait about a month for them to throughly dry then peel them from the pages of notepads and sketchbooks, and add the dried petals to my stash. 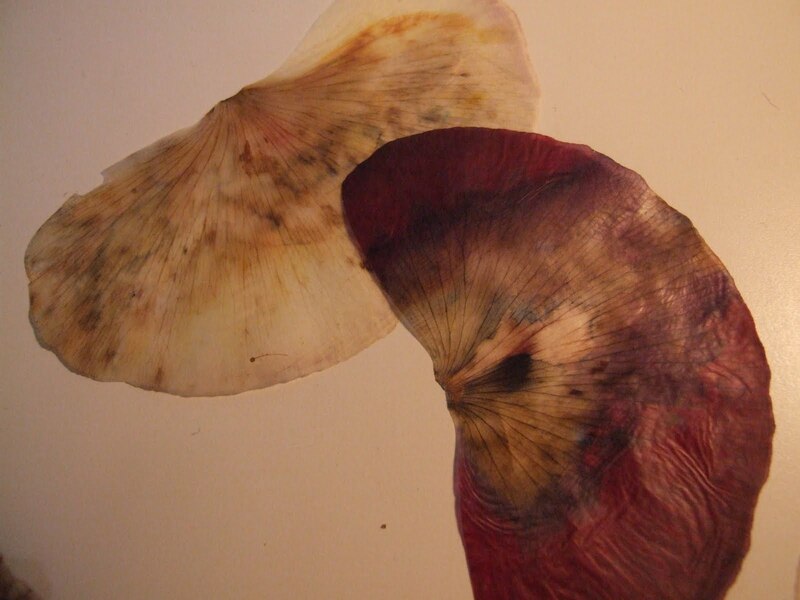 Some of this batch went a little mouldy, but they look beautiful with it.